If there is one thing I don't like, it's tacky, sticky lip gloss. This is the main reason why I adore Naked Princess. 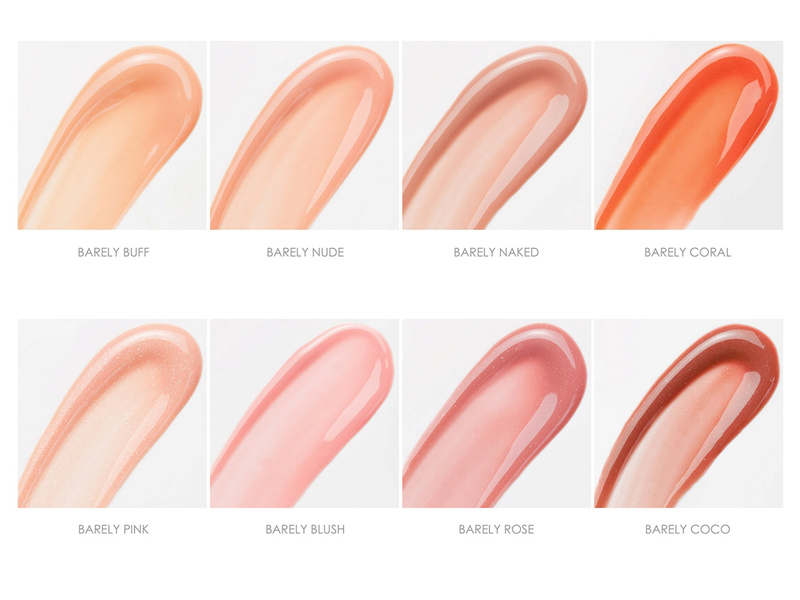 Their gloss goes on smooth and clean, no stickiness and they come in a wide variety of natural shades. So we're going to show you a HOW TO apply gloss so that it looks natural and stays on! I understand it's hard near impossible to shop for a lipstick (especially when you can't always try it on in the store) and find a perfect match. Naked Princess combats this issue by giving you subtle but noticeable color, without being too opaque and thick. All of their colors are sheer and help compliment the color your lips already are. First, I like to use Bella II Fiore's lip scrub. Every now and then, it's a good idea to exfoliate your lips, just as you would exfoliate your skin in the shower. Are you worried about swallowing or getting this product in your mouth, don't...it has an all natural, safe, sugar base. After y ou exfoliate, you need to do what - that's right, moisturize! When applying a lip gloss, I like to first, put on a little chap-stick, especially after exfoliation. I feel like this helps moisturize my lips, so they don't feel dry and cracked when applying my other make up. Next, I like to apply Duwop's revolutionary reverse lip liner. I use this around the outside lining of my lips, so that the color I apply stays on the inside line of my lips. We have seen the ladies with lipstick all over their mouth and teeth, and it makes you look like a hot mess. You can watch the video on how to apply and utilize this nifty make up trick! Now, we can apply the lip gloss! This formula glides on effortlessly, throw it in your purse and take it wherever you go, it will be your new purse companion! Last but not least, apply your lip liner. Your liner color should be 1-2 shades darker than the color of the outside lining of your lip. If you look closely, you will see that the edges of your lips are darker than the meat of your lips. You may ask "why apply this after rather than before the lip gloss"...When you have gloss on, wearing liner is much more noticeable because lip gloss is lighter and more sheer than lipstick. This way, when you apply your liner, you can contrast it with the gloss that is already on your lips, so blending will be easier and shading will be much more natural. We want to highlight and accent all of your fabulous god given features. Sometimes it's hard to have a natural appearance when you're not using make up that lends itself to natural hues. We hope this how to guide helps you achieve a perfect pout!